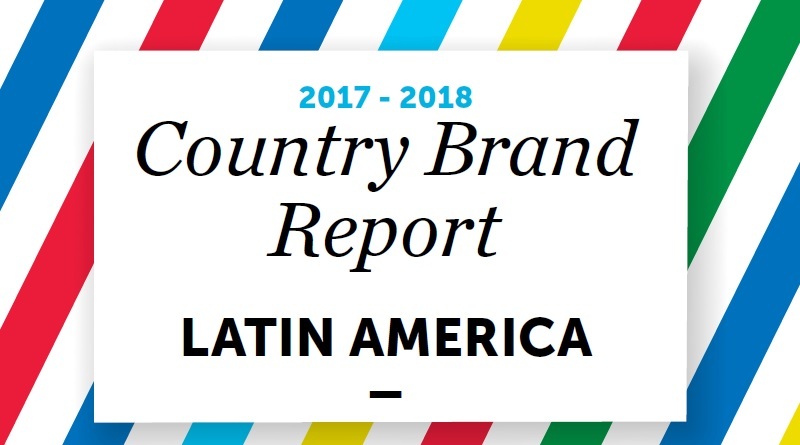 The 2017 edition of the Country Brand Report Latin America by FutureBrand was just published. Gustavo Koniszczer, TPBO Expert Panel member and Managing Director of FutureBrand Hispanic America, in this post summarizes the findings of this country perception study. The report is based on online surveys with 2500 opinion leaders and frequent international business or leisure travelers across 15 countries, which took place during March 27th – April 10th, 2017. Major trends in country reputation Latin America during the last years. Gustavo, which findings of the 2017 Country Brand Report did you find the most intriguing? The most intriguing side of the ranking is possibly the strong fall of Brazil in issues such as safety, environmental performance and quality of life. At the same time, the country managed to lead the ranking in Tourism and Made In (which are two of the six dimensions we measure). In my opinion this has to do with the exposure which Brazil gained through recent international events, especially the 2014 World Cup and the 2016 Olympic Games in Rio de Janeiro. Another intriguing finding is Colombia‘s position. The systematic and consistent communications of this country and its success in attracting foreign direct investment in the last years are not reflected in Colombia’s position in the ranking. Although in previous years the country’s low position was what one could have expected, its position in the 2017 ranking has hardly improved. This may be linked to the not so distant Colombian past: the presence of the armed guerrilla and sustained but never satisfactory attempts on the awaited “peace” and the phantom of drug trafficking (sadly portrayed by more than one series promoted through Netflix internationally) might explain in part the perceptions about Colombia. Which countries have seen the strongest increase in brand perception? 1. Argentina moved up to the top spot, after years of being among the top country brands, but never in first position. This indicates that there is consistency in the performance of the country. 2. Argentina achieved the first position in three of the six dimensions covered in the ranking: in Quality of life, Aptitude for business and in Value system, mastering in a coordinated way what in the report we call the “Purpose” axis. 3. This dominance in the “Purpose” dimensions does not only place Argentina in a comfortable position within the ranking. The country also exceeds the average regional performance in those dimensions, which have been historically “uncomfortable” for Latin American countries. The loss of Brazil‘s top position is not dramatic. However, to be one of the “engine” economies not only of the LATAM region but in the world, this step down to second place is significant. The country’s abrupt fall in the Quality of life dimension shows how difficult it is to achieve this in Latin America, even in the more developed economies. Brazil performed well in variables linked to experience (especially Heritage and culture and Tourism, even in the Made in dimension). On the one hand, foreigners seem to be aware of issues linked to security, education, health and standard of living as experienced in Brazil. The inequality of the distribution of wealth, for example, could be manifested in such a perception. On the other hand, external audiences still have the “postcard” image of Brazil, strong enough to want them visit and live there. How does the FutureBrand Country Brand Report work in terms of methodology? The surveys were conducted between March 27th and April 10th, 2017. 1. Latin America has difficulties in achieving a good performance in the Purpose dimension. Moreover, a deterioration of overseas perception linked to factors such as stability, achieving a desirable quality of life, or infrastructure, are a challenge that as a trend emerges from previous reports. 2. The niche strategy: countries like Costa Rica and Uruguay by their very condition (compact sizes, small population) bet on very clear communication, in tune with relevant and current market demands: the environment. 3. Special cases: Cuba. Since the “rapprochement” with the United States, the country’s position in the ranking is silently moving upwards. More about the 2017 Country Brand Ranking Latin America by FutureBrand here. Enjoyed this summary of highlights from the 2017 Country Brand Ranking Latin America, the winners, losers and trends? Spread the word!